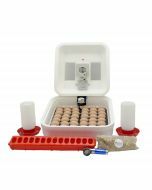 Purchase is for Egg Turner ONLY, incubator base not included. 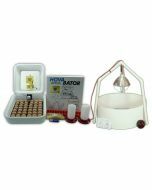 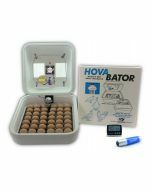 The IncuTurn™ for HovaBator has been carefully engineered and tested and will fit all current HovaBator desktop incubators**. 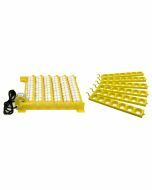 The universal egg tray holds any size egg, saving you from purchasing expensive egg racks for different egg sizes. 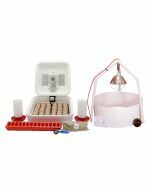 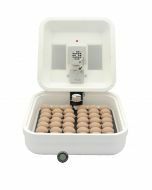 The automatic egg turner gently rolls the eggs six times per day, which prevents the yolk from settling while exercising the embryo. 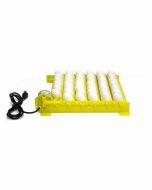 This rolling action is very similar to how eggs are turned in nature. 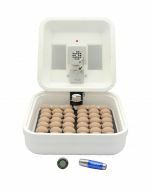 The universal egg tray can hold 42 Chicken*, 70 Quail*, or 28 Goose eggs*. 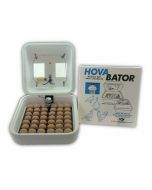 Installing the IncuTurn™ for HovaBator is a breeze, simply slide the motor clip over the edge of the incubator and attach the turning tray and you’re ready to start incubating. 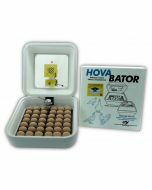 This product is a direct replacement for all HovaBator Egg Turners (including models 1611 & 1610). 110V AC Power. 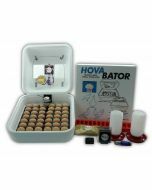 As always, all of our products are covered by our One-year Hassle-free Guarantee. 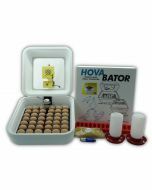 Purchase today with no worries and experience the IncuTurn™ for HovaBator for yourself. 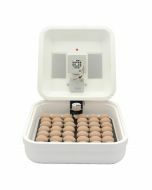 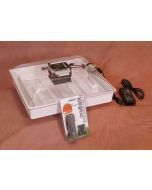 Do you know if this product will fit the base of the Little Giant styrofoam incubator? No, the IncuTurn is only designed to work in the HovaBator egg incubators and will not fit in or work with another brand of incubator.